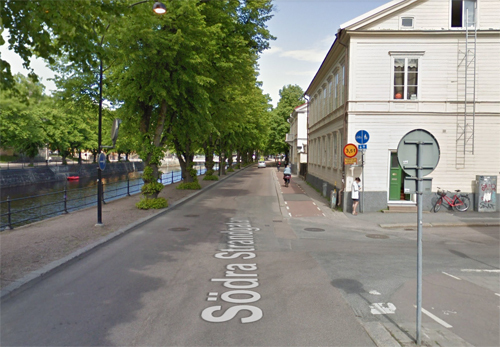 Södra Strandgatan is a street in the center of Gävle. 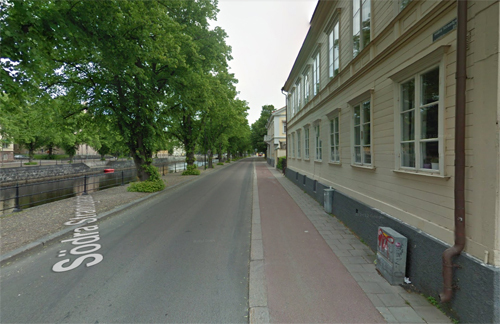 Gävle is a city in Sweden, the seat of Gävle Municipality and the capital of Gävleborg County. It had almost 100.000 inhabitants in September 2016, which makes it the 13th most populated city in Sweden. It is the oldest city in the historical Norrland (Sweden’s Northern Lands), having received its charter in 1446 from Christopher of Bavaria. 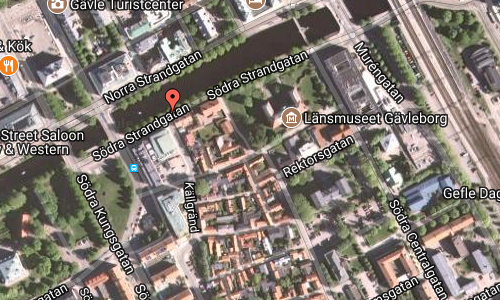 However, Gävle is far nearer the greater Stockholm region than it is to the other major settlements in Norrland. In recent years, the city has received a lot of international attention due to its large Yule Goat figure made of straw – the Gävle Goat. The goat is erected in December each year and is often subsequently vandalised, usually by someone setting it on fire. The goat has now become a symbol for the city and is being used for various marketing purposes. Gävle is situated by the Baltic Sea near the mouth of the river Dalälven. 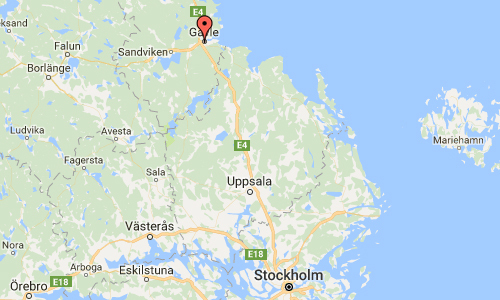 At 60 degrees north and 17 degrees east, Gävle has the same latitude as Helsinki and the same longitude as Vienna and Cape Town. 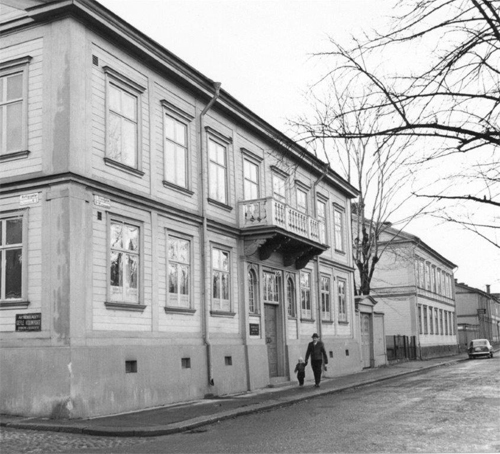 Gävle is known for being the birthplace of the Gevalia coffee brand, which is produced by Kraft General Foods Scandinavia and exported around the globe. Gevalia is particularly popular in the Americas and produces dozens of unique flavored coffees for the United States that are not available to its customers in Europe. However, visitors who come to the factory in Gävle can sample many of the premium blends. 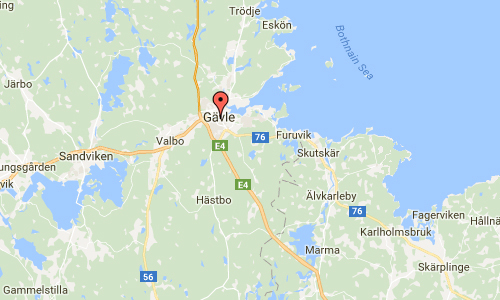 (Gevalia is the Latin name for Gävle). 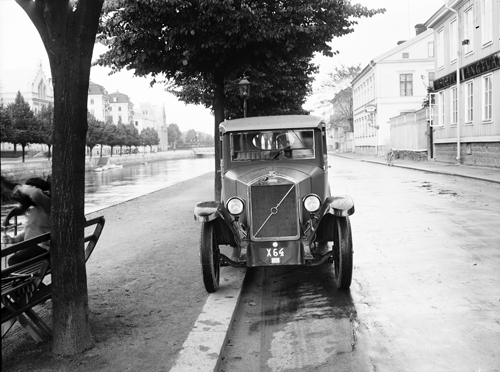 Other brands from Gävle include the throat lozenges Läkerol and the car-shaped sweets Ahlgrens Bilar. Unfortunately, Cloetta has closed down the factory in Gävle. More information at en.wikipedia.org and www.visitgavle.se.